HDMI isn’t without limitations, however and isn’t always the most optional choice. Likely, your TV has HDMI 1.4 connections. The maximum pixel resolution at the typical 30 frames per second (fps) is 3820 x 2160. If you own one of the new 4000 pixel resolution monitors, an HDMI limits you to 30fps. In order to get the maximum viewing experience for watching Ultra HD 4K (the technology that is the latest standard in the television industry), you’ll need to purchase an HDMI 2.0 connection, and likely an upgraded TV, if your set is still only compatible with HDMI 1.4 connections. Similar to HDMI, with DVI, the maximum resolution potential depends on your equipment. The maximum resolution potential depends on the equipment, though. 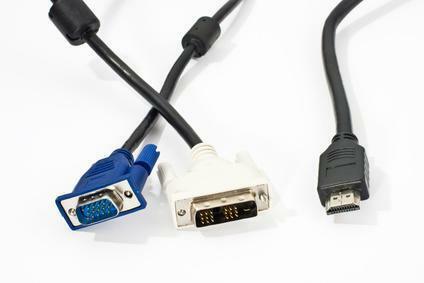 Some cables and hardware (called single-link) can only do 1,920x1,200, while others (dual-link) can do more. The old-school VGA connector is a cable of last resort. It's not too common anymore, and hardly ever found on TVs. Don't use VGA, not if you can help it. While it is capable of fairly high resolutions and frame rates, it's an analog signal. You're not likely to get a pixel-perfect image with today's LCD monitors (hence why you'd use DVI). For more computer tips and services contact the professionals at Computer Corner.